This Save the Date magnet features rich warm colors and atrractive tropical design, which is a romantic choice for beach weddings. Sackers Antique Roman is an vintage serif typeface designed by Monotype Design Studio. The typeface will support 21 languages and is available in several variants, including solid, inline, slanted. 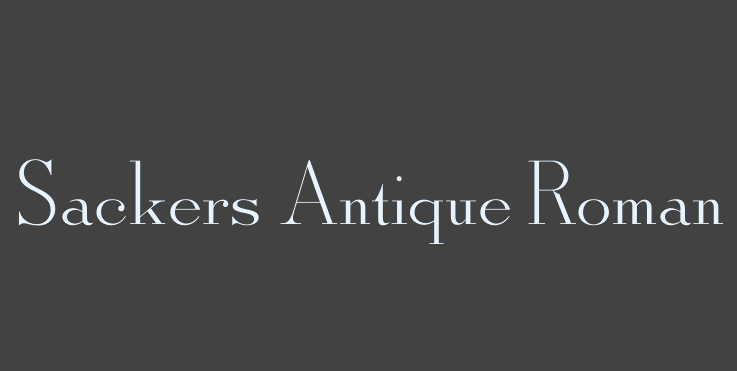 You can preview, buy and download Sackers Antique Roman at Myfonts.